Some of the best deals on the internet come from adidas, including savings up to 50 percent off. Get your swim wear, athletic shoes and everyday apparel needs online at adidas.com, quantities are limited. The Sports Techie community blog is happy to share with our readers that adidas Socks are up to 50% Off! Starting at just $6. As an affiliate, the FTC requires a blog disclosure statement. It’s not hard to recognize good deals when you see them…so take a look at these gems from adidas that will have you feeling super comfy, sporty and ready to go anywhere in no time, with free shipping on orders $49+ I might add. adidas Hot Socks and Sweet Bags up to 50% Off! These go well with your Stan Smith collection and Messi collection. 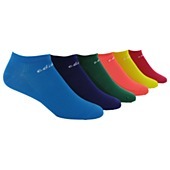 adidas socks starting at just $6 for 2 pairs! Look how all these colors pop. BOOST™ provides you with more energy return than any other foam cushioning material in the running industry. Ever. According to adidas, “Whether you hit the roads, tracks or trails, adidas BOOST™ cushioning technology delivers you the Energy Running solution that you’ve been waiting for. adidas knows that today’s runners are seeking more from their runs and more from their running shoes. 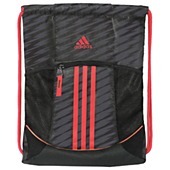 adidas SackPacks starting at just $8! Sports Techie, Spring fever is here so take advantage of these super discounts by adidas for the Sports Techie community. adidas Bags are up to 50% Off! Starting at just $8 and they are perfect with a new FIFA adidas Brazuca World Cup Soccer Ball. Their NBA gear is heating up. Shop the women’s selections. Explore these adidas best sellers sorted by gender, brand and category, product type and sports, new arrivals, color and collection. There are no tech selections yet, I will have to work on getting that upgraded. Enjoy all your new adidas purchases at discounted pricing with free shipping. Thank you for reading and sharing my blogs.